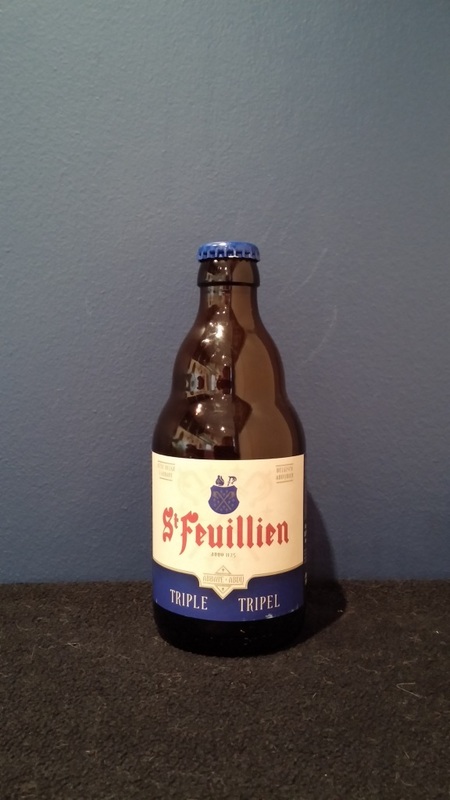 Beer #1118 is a tripel brewed by Brasserie St-Feuillien in Le Roeulx, Belgium. A strong (8.5%) Belgium ale with bite, tastes of banana and clove, and the alcohol gives it a nice warming sensation. I probably wouldn’t have it again, but I’ve tried it anyway and it was pretty good. The bottle size is 330ML with an alcohol content of 8.50% (containing approximately 2.20 AU / 2.80 UK standard drinks), and it cost me $6.63. This beer has a white, smooth and very compact head. Its pale amber colour is very characteristic revealing a distinctive maltiness. It has a rich aroma with a unique combination of aromatic hops, spices and the typical bouquet of fermentation – very fruity. Secondary fermentation in the bottle gives it a unique aroma due to the presence of yeast. 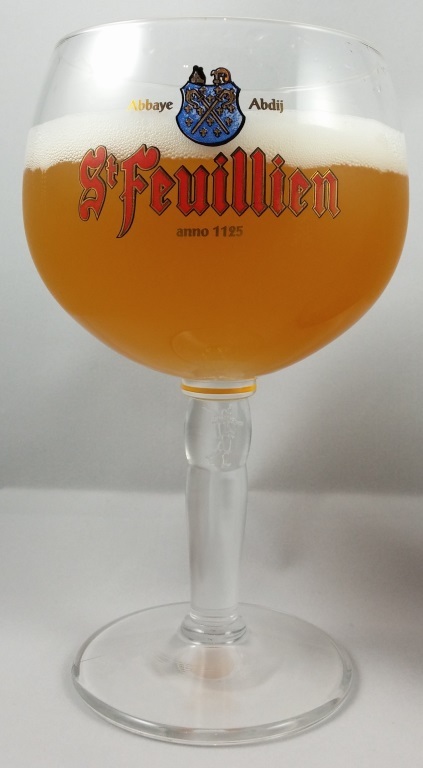 St-Feuillien Triple has a very strong and exceptionally lingering taste thanks to its density and its long storage period.Whether served as a refreshing aperitif in summer or savoured during the winter months, the Triple is a connoisseur’s beer par excellence.